Our community of writers gathered for another Community Book Project – just in time for Valentine’s Day. This eBook is entitled What We Love. It’s a collection of more than100 essays celebrating reflections on love. My essay is titled Treasuring the Essence of Life, about finding a childhood journal that I made from lined notebook paper and how journaling brings out the best of my travels. While a picture can demonstrate a thousand words, my words in a journal capture the special conversations, fragrances, and noises that are beyond the view of the camera. 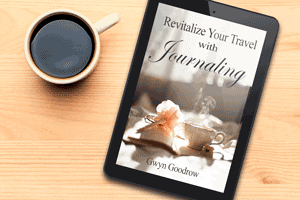 My story reflects on my love of writing and how special those journals have become through the years. This blog is another labor of love, essentially an online journal to share with our friends…like you! These stories of love are a collection of heart-warming and joyful essays. Purchase the eBook “What We Love” from Amazon, then pick up the complimentary Love Journal below. Want to learn more about the stories in the book? 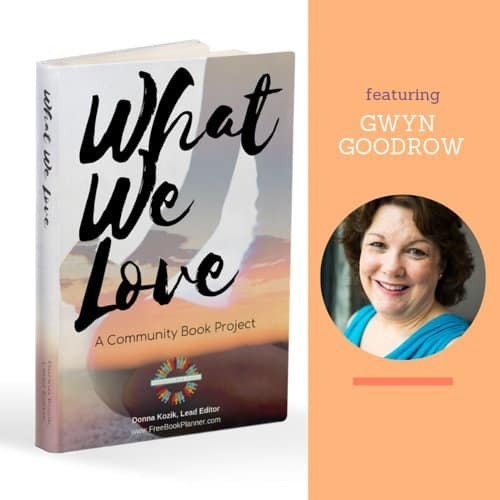 Go behind the scenes with editor Donna Kozik as she talks with the featured authors in this edition of the Community Book Project.